We are offering highly reliable Bulletproof Ballistic Shield. The Ballistic Armour Plates NIJ IIIA handheld bulletproof shield for 9mm FMJ RN + 44 Mag JHP and are very reliable and widely used for variety of law enforcement applications. The Shield are manufactured using the best quality raw materials that ensure its superior quality and reliability. 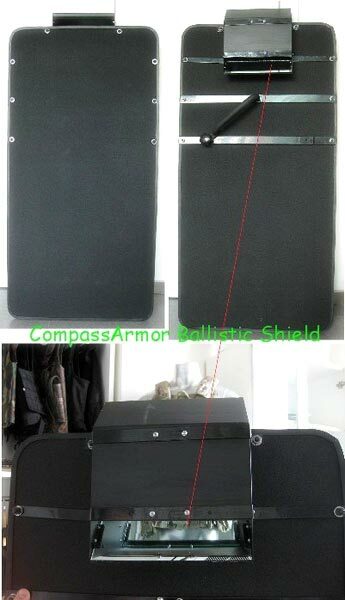 Ballistic Shield come with view port of periscope and are used for police & civilian protective purposes. It come in effective handheld design for covert action.